have called the music "Stunning … subtle yet dynamic." "The quality makes listening an enriching experience." Dan's score was first presented at the Vicker's Theater Sounds of Silents Film Festival, Three Oaks. Subsequently he has performed the show at Columbia College in Chicago as a Visiting Composer, Notre Dame University, Beatniks in Hammond and State Theater in South Bend. This presentation will feature the newly remastered surround sound track and greatly enhanced video on a big screen. 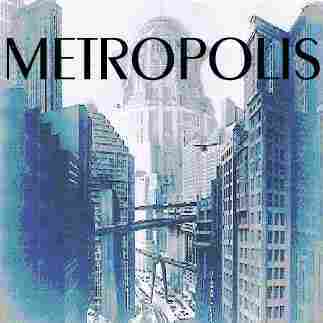 ADDED: Dr Jerry Holt of PNC will give commentary on Metropolis's place in film history..
Dan is perhaps best know for his MacBeth, the Rock Opera! and for his silent movie musical, Aelita Queen of Mars. Dan will be at the showing for discussions about the film. Dedicated to the memory of a friend and great musician, Greg Prybylinski. *The Nest is at 803 Franklin St. Michigan City next to Mainstreet Theater.